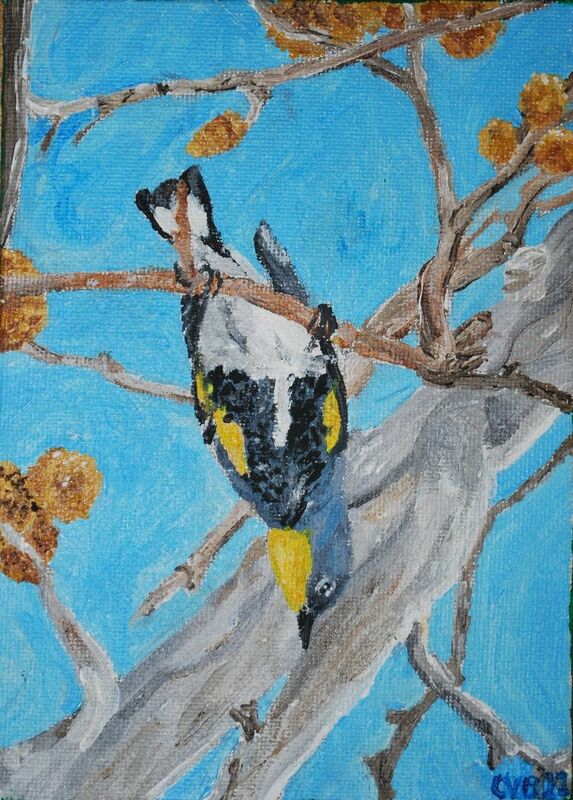 This was one of my earliest sets of bird paintings, the species in question being the Yellow-rumped Warbler. Affectionately known as "butterbutts" by birders throughout the Americas, it is the most abundant warbler species. I based this set of three paintings on photos I took of one individual male in the early Arizona Springtime, near Montezuma Castle National Monument. Each painting is framed in a 5" x 7" frame. The piece is a triptych, and is designed to be hung as such. 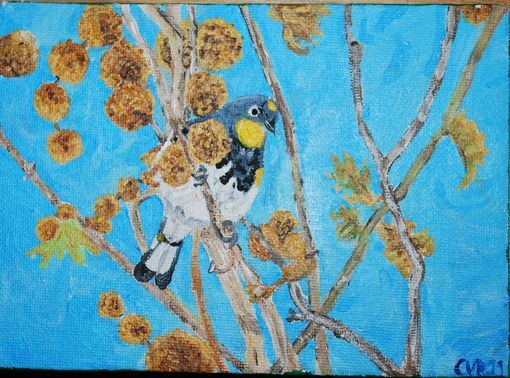 It is acrylic paint on Canvas.